2. In case you are stuck, please call us on 877-753-5373 / click on the chat button to chat with us. 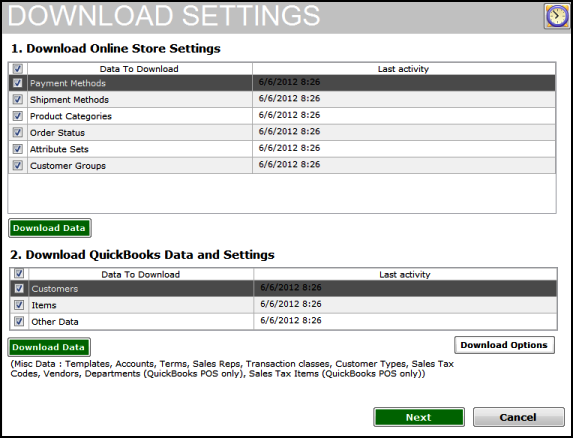 Use this screen to download data and settings from the online store and QuickBooks. Unify Desktop uses this data to populate various drop down options and helps you configure the latest settings for order synchronization.